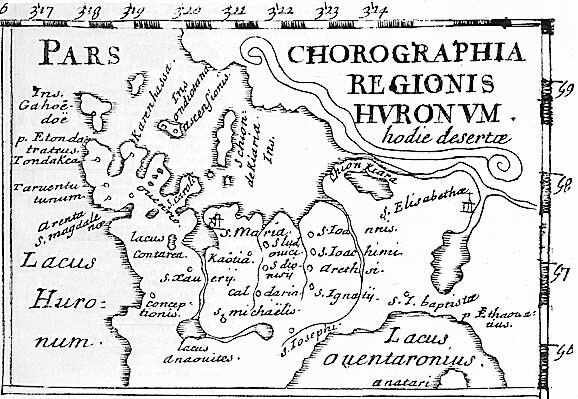 If we were to look for the Huron/Wendat village sites visited by Champlain in Huronia during his 1615 - 16 sojourn here, where would we begin, what would we need to know and how would we find what we need in order to start our search? At our last meeting of the Huronia Chapter of the OAS we explored what Champlain wrote about this trip in his report to the King. Unfortunately he did not leave us a map that we know of and few geographic cues or landmarks to follow. This leaves us with a challenge as historians and archaeologists that some feel is impossible to overcome but since Champlain's time over 600 archaeological site have been discovered in Huronia over the coarse of the past 150 years. If as archaeologists we consider ourselves the forensic scientists of history then we have plenty of material to work with. But how much of it is relevant and is there too much data or too little when it comes to the sites visited by Champlain? How much archaeology has really been done? How much analysis has been done of what has been done and found? Just were are the records of what has been done over the past 150 years and where are the artifacts that were found? Who worked here and what was the focus or purpose for their work? Can we track down all this data and material, will it be willingly shared? To date I have reviewed some of the archaeological record and know the history of this period fairly well but the record appears full of speculation with many contradictory results. At our next meeting of the chapter we plan to share what we know about the record or at least about where to look and how. To this end I would encourage the use of primary source documentation as all good research must base its start here. Always ask; What do I know and why do I think I know it - what is my knowledge based on? Did I go to the primary source or was I satisfied with someone else's interpretation? Is my knowledge based on speculation or fact? Independent search after and interpretation of fact may take more time but is far better than following a path traced by someone else's error or large leap of faith.